Lulu’s Restaurant and Bar at Port Denaru in Nadi. 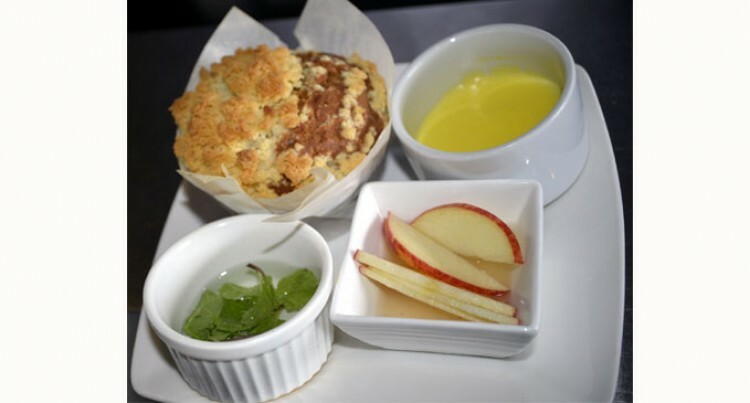 Crunchy apple and cinnamon pie served with custard sauce with a garnish of mint, apple and cherry. Mr Reddy has been working for Lulu’s for the past eight months as a pastry chef. His experience in pastries dates back to seven years. Mr Reddy attended Lomawai Secondary School and received his tertiary education at the Pacifika Institute of Tourism Studies in Nadi.